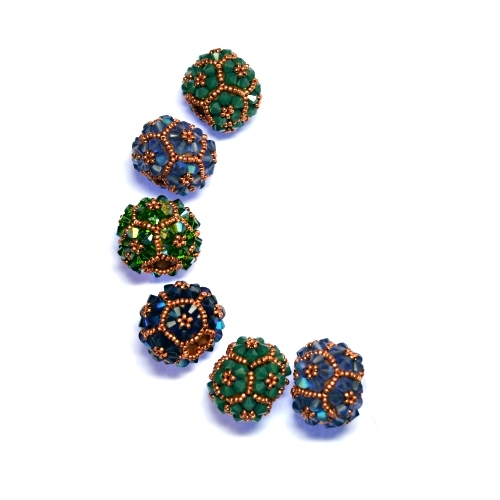 These are beautiful, sparkly, layered balls of wonder! 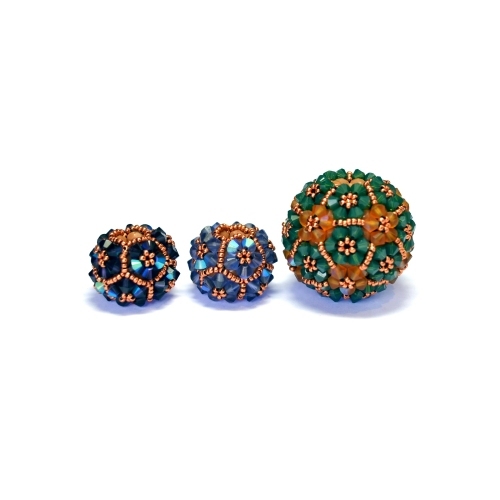 These beaded beads and pendants are begin with a beautiful geometric base layer and then an optional crystal and seed bead embellishment is added. These are currently a class.